gott nytt år Tim, vi kollade just på din dokumentär och jag fäller som alltid en tår när jag får se den <3 fina sakande du, jag hopps du lämnar en plats åt oss alla i himlen. Gracias por tu trabajo. Descansa en paz Tim. Dj increiblemente talentoso, sus canciones invadian mi celular en mi epoca de secundaria y l siguen haciendo, su musica nunca morira, la inspiracion de muchos otros talentosos djs novatos. A sky full of stars, you are one of them! Miss you bro. Your music saved my life. Happy new year Tim, I really miss you and seeing your posts. I am trying to live as if through my life I could live on for you. I am learning Without you on the piano and everytime I play it, it feels bittersweet for it reminds me of you. I love you and I hope youve found pece, happiness and are somewhere watching over all of us. I will miss you, always. I love you Tim. You're so missed. Happy New Year, dear Tim ! You know in November, I went to White Sensation and Nicky Romero played 5minutes from my favourite set of yours from Ultra Miami 2012, where Madonna was on stage with you, your first headline. He played it amazingly in your memory. I have to tell you everybody was missing you too, I am sure. I miss you. Avici is perfect Dj. His music motivates to travel, cry, think of life, doing best and believe in good! He is my favourite musician, and always may be! from Your biggest fan again. Today is the first day of a new year,without you.I miss you so much,I miss your music and your smile.If only you could be here,in this world. Your are always in my thoughts and in my heart,even if I have never met you. I hope you are in fine,there in heaven. I miss you..
Привет, Тим. Когда я впервые услышала твою музыку,я была очарована ею! Моя мечта была посетить твоё шоу, но это было невозможно тогда и к сожалению сейчас:( Твой альбом "Stories" помог мне в трудные моменты моей жизни, вдохновил меня на новые подвиги. Ты очень хороший,талантливый,добрый человек ! Надеюсь, что сейчас ты действительно обрёл душевный покой и тебя окружают ангелы. Я люблю тебя,как человека с огромным сердцем! Низкий поклон тебе и твоим родителям! Твоя музыка вечна! ❤❤❤❤😭😭😭 R.I.P. May The Legend Rest In Peace. Happy New Year Tim! I'm listeningto your songs now as I open up to the new year. I love you, your sould and your music. I will never forget you or your impact on the music industry. THE BEST MUSICIAN !!! It is a great pity that such people leave us !!! WITH LOVE FROM RUSSIA!!! Ты лучший диджей , с Новым Годом, бро! Всегда будешь в наших сердцах... you are the best !!! Ciao Tim, oggi è il primo di gennaio del 2019,quest'anno inizierà senza una leggenda che però non verrà mai dimenticata, sei un angelo volato in paradiso troppo presto. Mi manchi tanto Tim, sei scolpito nel mio cuore! Such a fine human being, such a beautiful soul and a very talented musician. Må du vila i frid käre Tim. Jag kan inte begripa hur de personer runt omkring dig inte behandlade dig som den fina människa som du var. Tack Tim för din underbara musik. En tanke för din familj som lider och saknar dig, jag önskar dem mod och styrka. Tack käraste Tim, du förtjänade så mycket mer. When everything was bad and I just wanna end myself, Tim’s musics saved me. His music gave me hope and joy to move on. I won’t be here without him. Thank you so very much for your wonderful music, and rest in peace! Happy New Year Tim, wherever you are! 2018 was your year buddy and your music will be listened to and played for many many years from now on. I miss you so much and I will always keep you in my heart. Thank you so much for everything and a big thank you to your family for raising such a lovely and delicate boy. I know you are up there, looking at us, smiling and being happy. Down here you will be loved and appreciated for everything you have done and for all the songs that inspired us. Спасибо за все, что ты сделал. You changed my life. Thank you Tim. Your melodies brought a whole planet together. Your passing is beyond sad. It's a loss to humanity..Your music made so many people happy. I Love You. Happy new year. I'm listening to your songs right now. I just want to tell you that I miss you so much,We all do.I have cried many times for you since the day of your death. You and your music last forever in my heart. Rest In Peace. Years ago I was suffering and hurting each and every day. Some of Avicii's music gave me salvation for all those nights, and I can't thank him enough for all he did for me. The lyrics he would write, the tunes that would resonate with me, he always had a special place with me. Can't show much more respect than what I do today. Thank you Tim, rest easy. Happy new year and keep listening your music in 2019! Hey Avicii. I'm wishing you a "happy new year" 2019. I promise you that I will never forget your music. I will ever listen to you. And when I have kids - maybe in 10-15 years - I'll show them you. I say them that you're a legend. And that your music will never die. Rest in peace, Tim! Your music awakened something in me. It made me realize how far my mind can really expand and was an escape from the constant battles in my mind. I'm trying to stay alive, but I've lost so many people I love already. I want to live on for those who haven't. Thank you for changing my life. Thank you for everything, your legacy will live on forever. 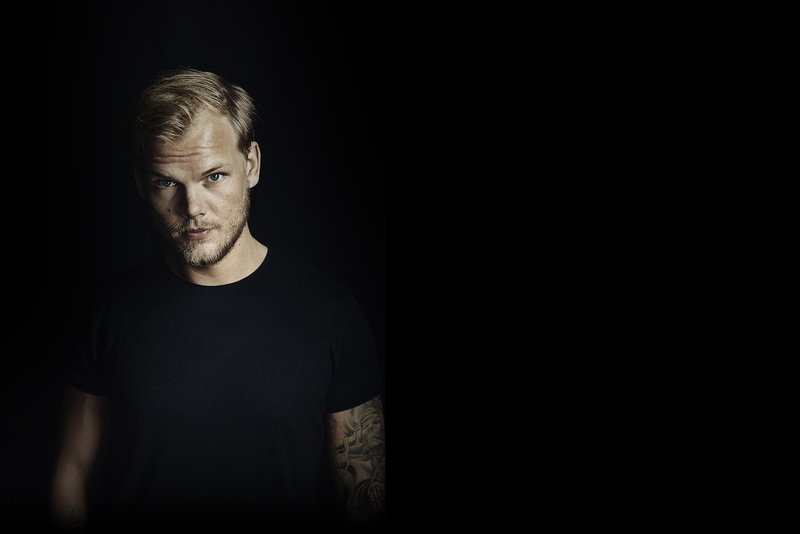 Avicii You mean the music to me. Wish you a happy new year wherever you are even if you are not present now, your music will be living forever. Love from India. Your lyrics wake me up, R.I.P. I know your in the hearts of many tonight. A new year Tim, a new year for you and me. We miss you more than we could ever explain, but your memory and legacy will always live on. We said goodbye to 2018 with a song of yours tonight; and said hello to the new year with another. You’ll always be with us. Happy new year Tim, hope wherever you are you’re the happiest and healthiest. I’m sure you were in the hearts of many tonight. Happy New Year Tim wherever you are your music assisted me through my pain, struggles & darkest of days. I thought about you over New Years Eve & wish I had known you, maybe I could have been there for you like "you" were for me. Just wanted to say thank you for all the memories & 2019 will be another year in which you will be sorely missed. Happy new year, Tim,a year you won't see. I'll try to live for you too; last night at the party I talked about you with people who did'nt know you and now are knowing; then I danced and laughed, but my thoughts were with you, as they are this morning, the first of 2019. So happy new year, beloved boy :more people in 2019 will know you through me, this is my mission. Love forever, my son. You've changed my life in ways I can't imagine, Your music has made me look at many things differently. Tim you will be missed brother... "Life will pass me by, If I don't open up my eyes." "One day You'll leave this world behind, So live a life you will remember." Thanks for everything your music did bring to us. You will be missed, a lot.